Maple Veterinary Hospital is proud to serve the Troy, Michigan area for everything pet related. Our veterinary clinic and animal hospital has three licensed and experienced veterinarians, Dr.Mike Derkevorkian, Dr.Pam Smith and Dr.Lorrie DiBenedetto. Our team is committed to educating our clients in how to keep your pets healthy year round, with good nutrition and exercise. Maple Veterinary Hospital stays on top of the latest advances in veterinarian technology and above all, remembers that all animals and pets need to be treated with loving care in every check-up, procedure, or surgery. 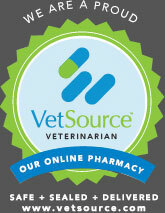 Provide clients with pet care information that enables clients to better care for their pet. Communicate with clients with pleasantness, understanding, and compassion. Provide praise and reassurance to pets during medical treatments. Monitor facilities to provide a clean and safe environment for all pets and their families. Communicate openly and honestly with clients regarding their concerns. Communicate openly and honestly about the health of our patients. Put honesty, fairness, and compassion first. Our Mission is to provide our clients and their pets with quality preventive medicine, on-going client education, and expert medical treatment that will enable each pet to live a quality life as a loving family member and companion. Acupuncture is an adjunct and alternative treatment modality that stimulates and promotes the body to heal itself by correcting energy imbalances. Veterinary acupuncture stimulates the release of the bodies natural pain relieving substances. It improves blood flow to the tissues as a result, reducing metabolic waste and toxins. Acupuncture can also cause muscle relaxation again, reducing pain and discomfort for the patient. Maple Veterinary Hospital is pleased to announce that we will now be offering animal Chiropractic services. Our animal Chiropractor is Dr. Christina Cole, who is licensed and certified in animal chiropractic care. Appointments and consultations will be available on Thursday afternoons. If interested please contact our office and schedule an appointment.